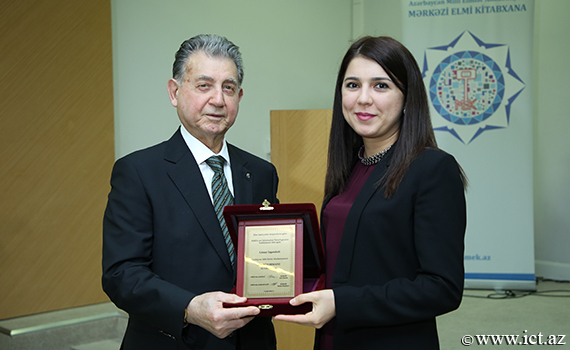 On February 4, President of ANAS, Academician Akif Alizadeh met with young scientists, Ph.D. students and master's students of the Academy's scientific institutions and organizations. 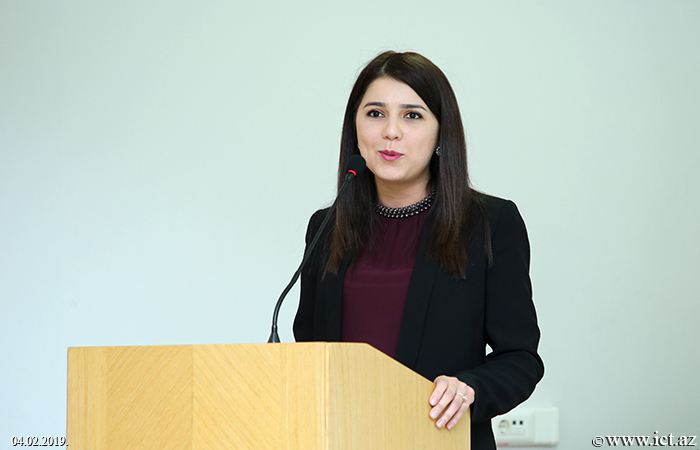 Academician Akif Alizadeh spoke about the activities carried out in the direction of improving the social condition of young scientists, stimulating the scientific activities of master's student and Ph.D. students. 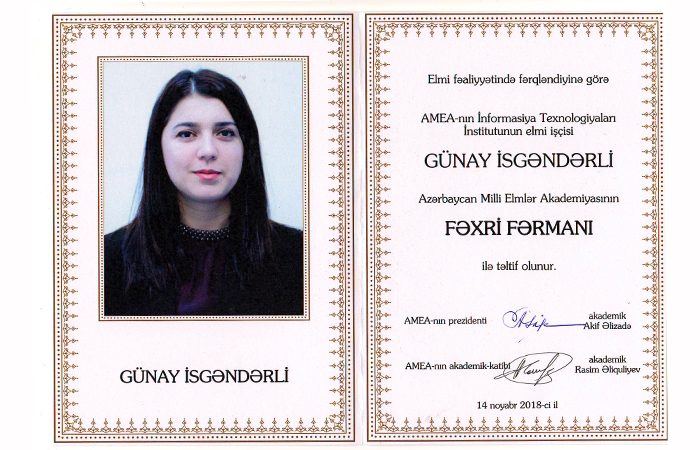 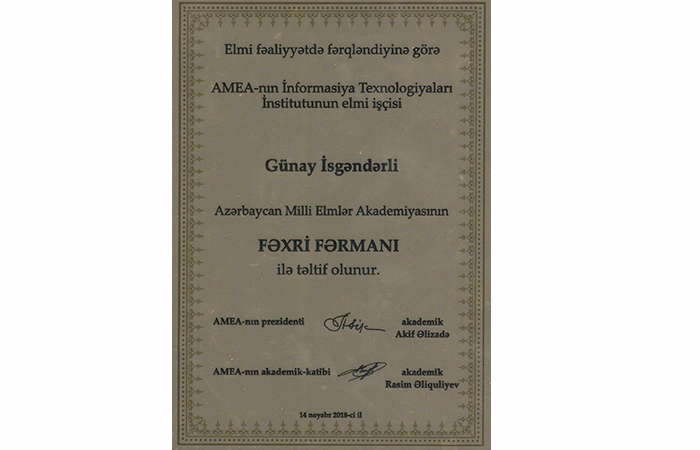 Along with a number of young researchers at the event, Gunay Iskenderli was awarded Honorary Decree of ANAS for distinguishing scientific activities.